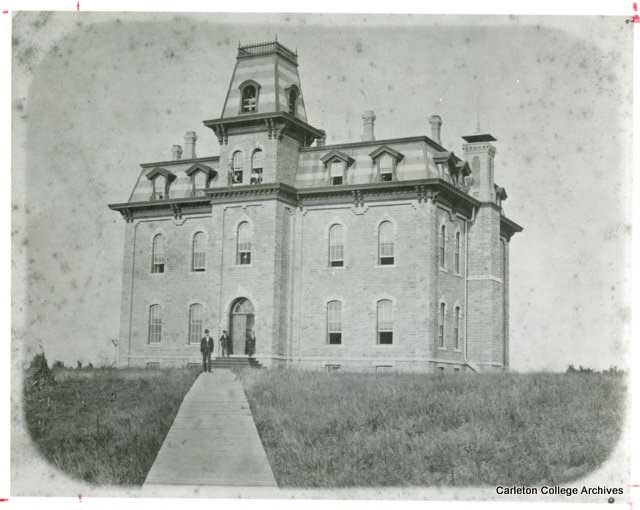 Finished in 1872, Willis Hall was the first permanent building erected at Carleton College. It was named after Susan Willis Carleton, wife of William Carleton, a Boston gas lighting manufacturer who donated $10,000 to pay off the college’s debt on the building. Designed in the French Second Empire style, with top story windows popularized when the redesign of Paris restricted building heights, the building was intended to indicate the small Midwestern college’s awareness of global trends. 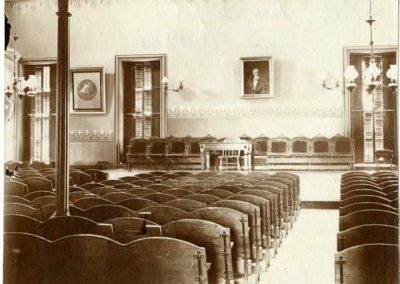 In its early years, Willis Hall’s first floor housed a chapel, where services were mandatory for all students. Men lived on the fourth floor (women stayed in private residences), and the remaining space was reserved for recitation rooms and the college’s library. 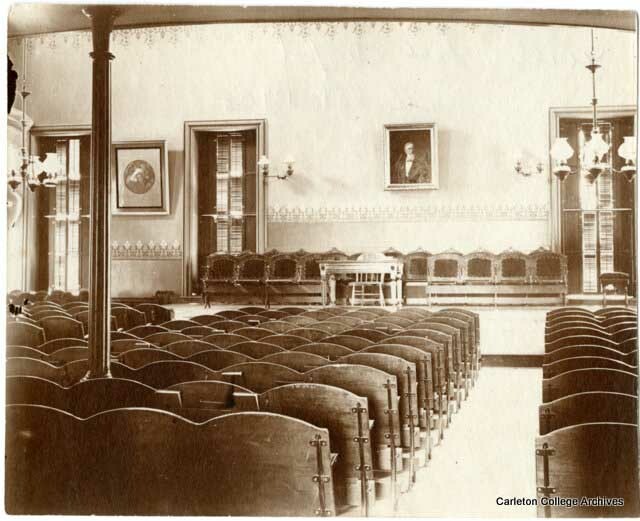 Scoville Memorial Library, the first dedicated library at Carleton, would not be built until 1896. 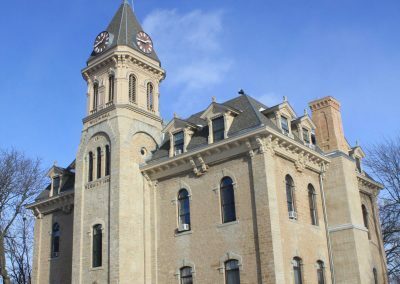 In December, 1879, a raging fire gutted Willis. That New Year’s Day, the trustees voted to build.an entirely new interior within the surviving stone structure. They also added a distinctive clock tower on the west side of the building. 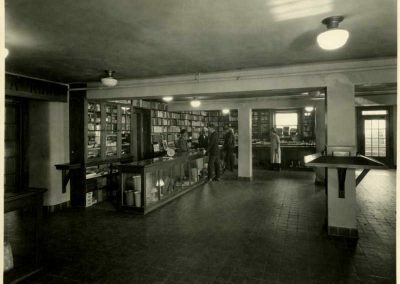 Over the years, Willis has housed various departments and administrative offices including the campus bookstore, post office, and tea room. Today, Willis Hall contains classrooms and offices for the economics, educational studies, and political science departments. One seminar room on the main floor is dedicated to Frank Shigemura and his parents. Shigemura was a Japanese American man who graduated from the college and then died while serving in the U.S. Army during World War II; his parents, despite their limited means, contributed to the college for the rest of their lives. Today, Willis Hall’s main entrance is on the building’s opposite side, facing the Bald Spot. 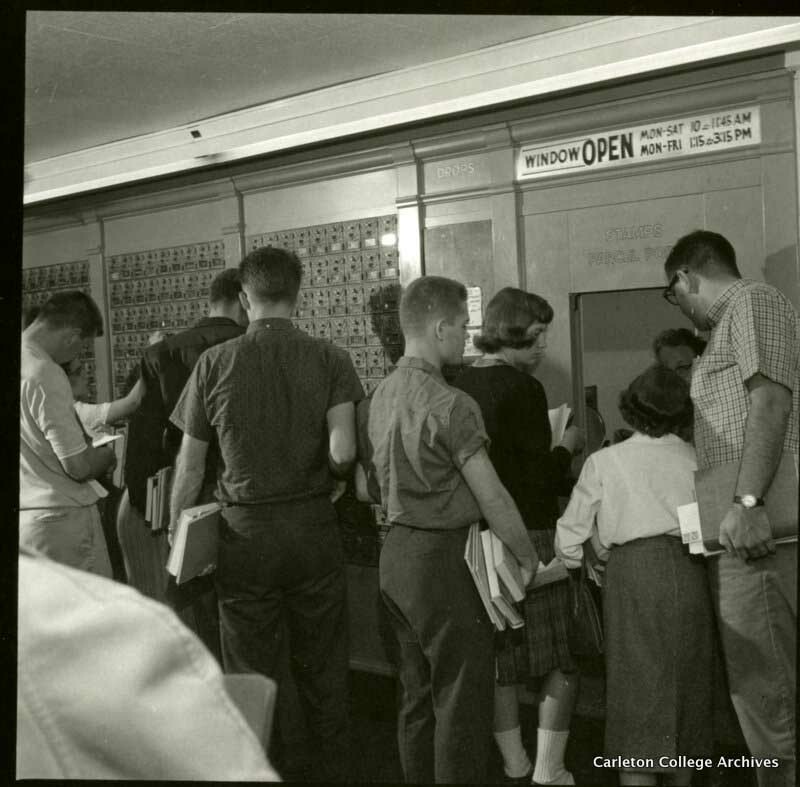 Students checked their mailboxes in Willis Hall in 1960. 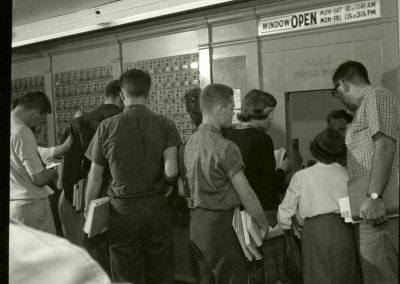 These same mailboxes were moved to Sayles-Hill in 1979 when it became the student center. They are still used today by students. 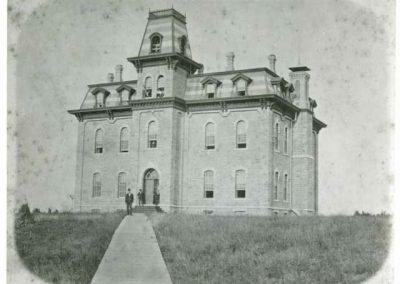 Original Willis Hall c. 1875. 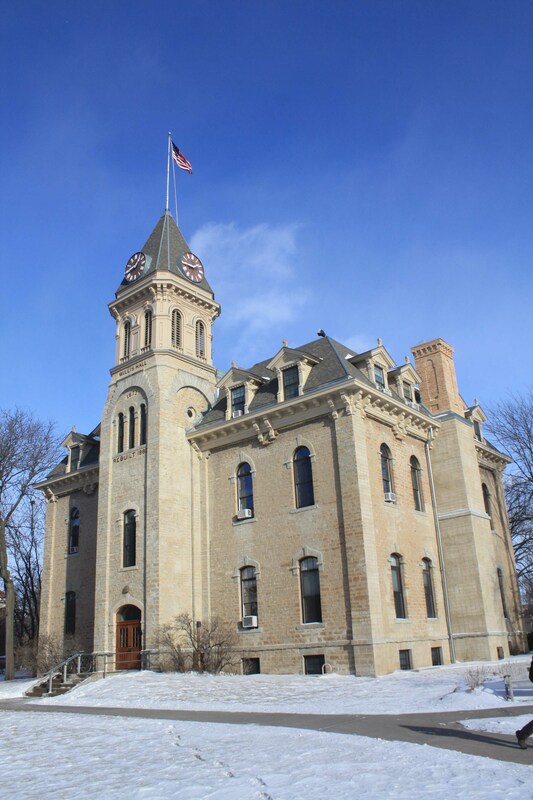 When the building was completed in 1875, it faced the town. This view is from the west, with seven men visible in front. Where the photographer stood is now a series of connected residential buildings: Severance (1928), Burton (1915), and Davis (1923). 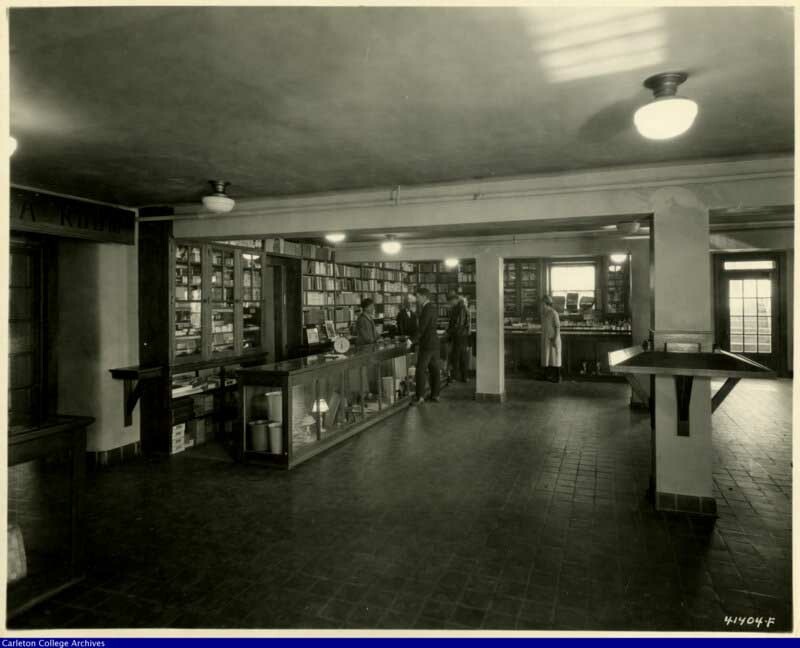 While the current college bookstore resides in Sayles-Hill, Carleton’s first bookstore was on the ground floor of Willis Hall.